How do I create an account for CPAR/ACPAR? When you click to purchase the course you will be asked to enter your name and email address. This information will be used to create your user account in our learning center and it will be used for CPAR and ACPAR. Be sure to use your legal name. Enter an email address that will remain active throughout your professional career. Your email address will become your user name and this is how you will receive communications about CPAR/ACPAR. PayPal is our merchant account vendor for processing credit and debit card transactions. You do not need a PayPal account to purchase the course. You can pay with nearly any credit or debit card. When you click the checkout button you will be redirected to the PayPal site. You can log in with your PayPal credentials or make the purchase as a PayPal guest using a credit or debit card. When will exam schedules be posted? The 2018 CPAR and Advance CPAR certification Program will run through December 15, 2018 and you can purchase a manual and schedule an exam date anytime until then. On December 16th the exams will close down for annual updating and will open again around June 1st, 2019. How many questions are on the exams? There are 150 questions on the CPAR exam. There are 50 questions on each Specialty Advance CPAR exam. What is a passing score on the exams? The CPAR passing score is 105 out of 150 questions. The Advance CPAR passing score is 35 out of 50 questions per Specialty exam. You have 120 minutes to complete the CPAR exam. You have 60 minutes to complete each Specialty section of the Advance CPAR exam. Do I have to be currently working in the health care industry to take the exams? There are no pre-qualifiers for taking the CPAR exam. You do not have to work in health care. You do have to be a CPAR graduate to qualify to sit for the Advanced CPAR Specialty exams. Will I be able to skip questions and then go back later to answer them? Yes. The exam will present each question and allow you to save an answer or skip it until later. After viewing all of the exam questions once, you will be shown all of your questions and answers again for review. You can then choose to change an existing answer or enter an answer to a question you previously skipped before submitting your exam for scoring. Is it an open book exam? The exam is on-line and timed. You will need to know the material in order to complete the exam within the allotted time. While we cannot prevent from you using the manual during the exam, it is unlikely you will complete the exam if you are searching for answers within the manual during the exam. We expect you to be fully prepared when you begin the exam. How long after taking the exam will I receive my result? Immediately. Upon completing the exam, your results will be available for review. You will also receive an email indicating your outcome as well as an option to download your CPAR certificate. Is the on-line study material just a manual that you study on your own? Yes. These are self study certifications. How many pages are in the manual? The number of pages varies year to year due to revisions. These manuals are available in a PDF format after you have paid. Can I purchase an exam manual separately? The fee you pay is for the manual and includes one exam attempt. The exam is attached to your profile and cannot be transferred to someone else. If you choose to purchase the manual without testing, download the manual and don't proceed to the exam module. How do I download the manual once I have purchased my exam? Once you purchase the course, the pdf manual is in the additional references tab within the course. Click the link to download the manual. Can I study the past year’s study information and pass the CPAR and Advance CPAR exam? Study information is revised each year; therefore, studying an out-of-date manual could limit your success if you do not also study the current material when it is available. What part of the study information will be on the exams? The CPAR and Advance CPAR exam questions will be taken from the entire CPAR and Advance CPAR Manual. How should I use the CPAR manual? CPAR manual and study guides by chapter are available for downloading in your student account. Best practice has proven that you should study the entire manual, chapter by chapter. How long will it take me to study the material? The CPAR material is extensive and covers the full range of revenue cycle operations and will take several months of focused learning. Can I take a re-test exam this year since I did not pass last year? Scenario #1: You pay and take the exam in October, 2017, but you did not pass. In June, 2018, the new exam and study guide are available. You must pay the full fee in 2018 to take the exam and obtain the study information. Scenario #2: You pay and take the exam in October, 2017, but you did not pass. You register to take a re-test in November, 2017. You can pay for the re-test in November, 2017. How much does it cost to take a re-test exam? If my employer does not offer to pay for my exam, can I still register as an individual? Absolutely. Individuals can register and pay themselves. In fact, this is what most students do. When you click to purchase the course you will be asked to enter your name and email address. This information will be used to create your user account in our learning center. Be sure to use your legal name. Enter an email address that will remain active. Your email address will be your permanent user name and this is how you will receive communications about CPAR/ACPAR. It is not recommended that you use your employer email. If you change jobs and your email changes, you will no longer receive CPAR/ACPAR notices. Can I use my employer email for my account? It is not recommended that you use your employer email. Your email address will be your permanent user name and this is how you will receive communications about CPAR/ACPAR. If you change jobs and your email changes, you will no longer receive CPAR/ACPAR notices. What if my credit card is not accepted when I pay online? Be sure the cardholder name and address match with the card number. The payment information is handled entirely separate from the registration information. (The student registration information can be different than the payment information.) If your transaction cannot be processed, it is most likely because the payment processor is not able to match the cardholder name, address, and card number that are submitted from the payment page. All of the payment information must be consistent with the cardholder. Where do I mail a check payment for my exam(s)? If I end up not taking the exam after I have paid, can I receive a refund or credit? No refunds or credits will be given. The fee you are paying is for the study material and manual. One exam attempt is included with the purchase but the exam is not required. Will this certification be recognized outside of Georgia? All healthcare facilities in Georgia recognize this certification, however, each organization does not recognize in the same manner. For example, some hospitals require this certification at time of hiring or within a certain time period. 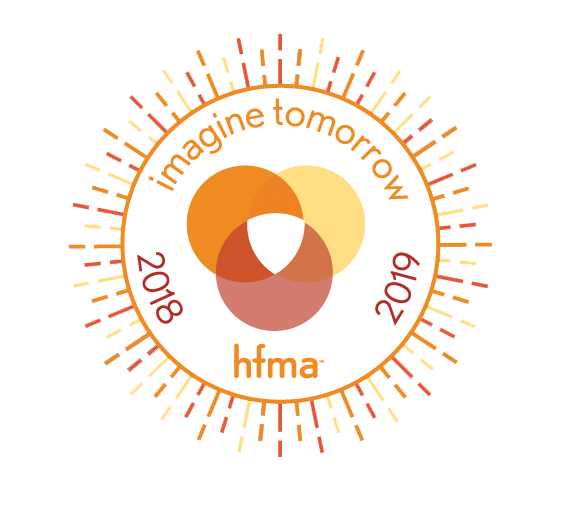 Because the Georgia HFMA certifications are so well known throughout the United States, especially the Southeast, organizations in other states may see this certification as valuable. However, this certification does not have any connection to other state's certification programs. How long does my certification stay active? CPAR and Advance CPAR are certifications that you will always have, without any additional testing or educational hours. Can I get my certificate replaced? Yes. Replacement Certificates for CPAR and ACPAR can be downloaded on demand in our learning center.